BBC Four - Arena, Whatever Happened to Spitting Image? 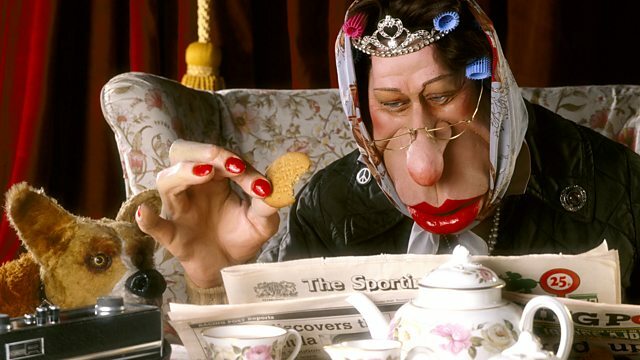 Documentary telling the story of the genesis of the satirical puppet show Spitting Image, with contributions from caricaturists Peter Fluck and Roger Law and producer John Lloyd. Spanning the early years of Margaret Thatcher's government to the end of John Major's, Spitting Image puppets became almost as famous as the politicians they lampooned. In 2000, the puppets were auctioned off at Sotheby's and in the course of the programme the team sets out to discover where they now reside and who is taking care of them in their old age.